The nucleus is an organelle found in most eukaryotic cells, the exception being red blood cells. 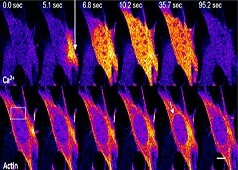 In animal cells it is both the largest and stiffest organelle and is easily identifiable by light microscopy. The average mammalian nucleus has a diameter of ~6µm and occupies about 10% of the total cell volume. The primary functions of the nucleus are to store the cell’s DNA, maintain its integrity, and facilitate its transcription and replication. 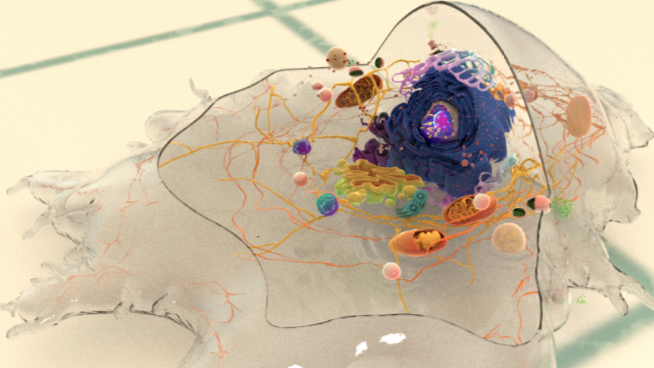 The nuclear contents, which include the genetic material and the many proteins required for its processing, are enclosed within a double membrane known as the nuclear envelope, but remain functionally connected to the cytoplasm via nuclear pores. It is through these pores that RNA can be transported to the cytoplasm for further processing. The nucleus is composed of several substructures and highly dynamic intra-nuclear regions. At its periphery, the nucleus possesses a double lipid bilayer that serves to separate the nuclear contents from the cytoplasm. This membrane is continuous with the rough endoplasmic reticulum, and as such, is studded with ribosomes. Since the membrane is impermeable to most molecules, traffic between the nucleus and cytoplasm is mediated though nuclear pores (reviewed in ). 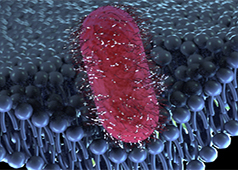 These pores, which enable the selective transport of water soluble molecules through the nuclear membrane are themselves composed of a large number of proteins (several hundred in mammals). 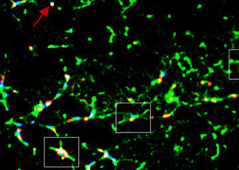 Although many larger biomolecules, including proteins and RNA, are unable to passively diffuse through these pores they may be actively transported in conjunction with importin/karyopherin proteins and the RanGTP family of small GTPases. Adjacent to the nuclear membrane is a network of intermediate filaments known as the nuclear lamina. This layer is mainly composed of lamin proteins and primarily provides mechanical strength to the nucleus (reviewed in ). Deeper inside the nucleus resides the DNA, which usually exists in the form of interphase chromosomes. Being an extremely long molecule (~2 meters for mammals) DNA must be packaged extensively to fit inside the relatively small space of the nucleus. This is achieved via an energy dependent process that involves numerous proteins and ultimately gives rise to a structure known as chromatin. 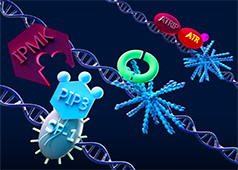 Despite the importance of DNA packaging, it is equally important that the DNA sequence remains accessible to repair and transcription machinery. This accessibility is highly dependent on the extent of compaction and this is reflected in the two types of chromatin that exist in the nucleus; euchromatin and heterochromatin (reviewed in ). Euchromatin is less compact than heterochromatin and is more transcriptionally active. 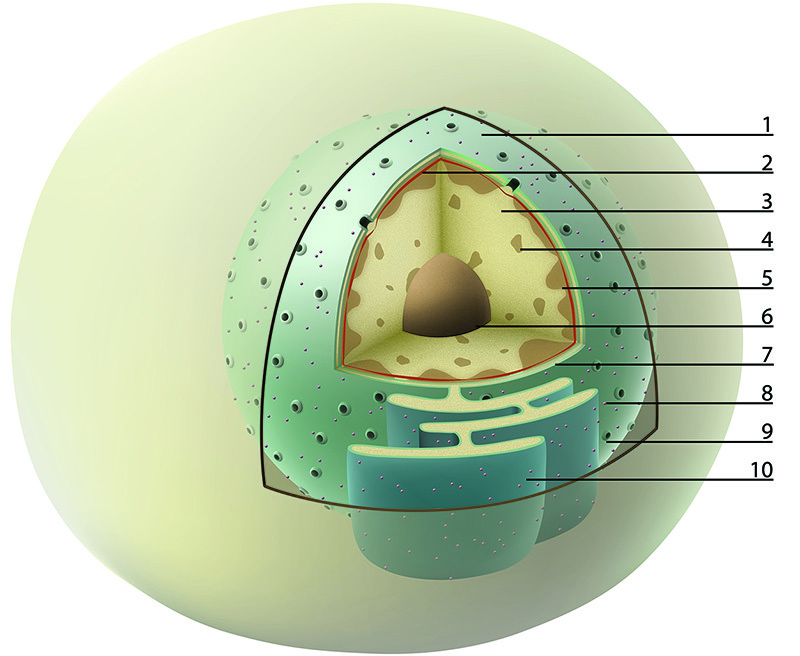 Another prominent structure found in the nucleus is the nucleolus. This is often seen as a distinctly dense body and is sometimes referred to as a sub-organelle (reviewed in ), although it is not bound by membrane. The nucleolus is enriched with tandem repeats of rDNA (regions of DNA that encode rRNA or ribosomal RNA). The major role of the nucleolus therefore, is the synthesis of rRNA and the assembly of ribosomes – the protein synthesis machinery of the cell. Along with these major structural and functional components of the nucleus, dozens of additional smaller assemblies are often observed. These include cajal bodies, promyelocytic leukemia bodies, nuclear speckles, etc (reviewed in ). While the functions of these structures remain unclear, their presence clearly indicates a high level of functional compartmentalization and organization within the nucleus.